Better than a movie for sure, and seems to be made by the company and not some random third party. I wonder if it'll just be an animated IDW series though, same setting and all. From what I can guess by the title, it seems to be about their lives outside of saving Skylands. And they already replaced the voice actors of Spyro, Stealth Elf, Eruptor, and Glumshanks. At least it looks like Richard Horvitz will still be Kaos. Actually,Skylanders Academy is their current hub since TT and in the comics,so it could be both their lives or other adventures a la the books. Hmm...when it will come out?! The pilot episode won't be out until Q2 2016. Production likely started quite a while ago then, maybe even a year ago. I still feel like saying "Oh NOW they're making a Skylanders cartoon." That said, I wish it the best of luck. Spyro reddit page is exploding with rage and salt when they saw that Spyro was going to be in the Skylanders show. Heck, be glad he's finally in a tv series at least. Even if it was a classic spyro show, people would whine. 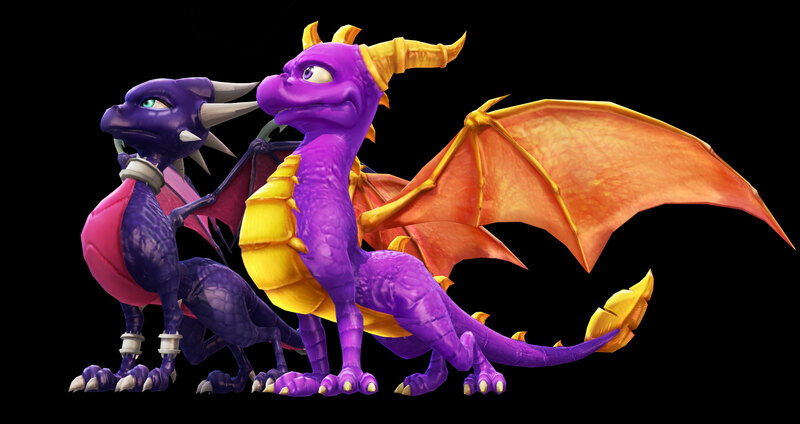 I hope it's not like the failure known as sonic boom and cynder still here with the other dragons and also adapt the malefor arc please! They should also be glad he doesn't have a dumb little kid's voice like the new Pac-man. Seriously, people have no sense of perspective. Does it even matter at this point? I would Spyro to have his own game again but he's still a Skylander. It's been nearly 5 years, people. Listen to that famous song in Frozen and take Elsa's advice. Yeah, I may not care for skylanders, but i might watch this. As a child, I always wanted a Spyro cartoon series. As this the closest thing I'm ever gonna get, I look forward to watching it, even if I'm not buying Skylanders games or figures anymore. Bifrost i don,t mean to be rude but having a movie of the show doesn't sound like a bad idea. And also, i never thought they would make a TV series of skylanders. it sounds really exiting. Could you please edit your posts next time? Thank you. I'll give it a watch, jot down a few things and maybe give a full reveiw. That's why there's a huge '/s' at the end of the post, meaning sarcasm. And I'm making this up for a show that's not even happening. IDK, Enter the Dragonfly has actually gained a bit of a following over the years. I don't think there'd be that many flame wars. Hell, dS hasn't had a good flame war in general section since before Skylanders was announced. Not in here, DS is chill mostly. I mean SpyroForum, r/spyro, and some other places where the vocal minority's stuck in 2011. I remember just remotely being okay with ETD could get you insulted in some Spyro General threads elsewhere. I think it is. I haven't checked in years, but I heard other users say that it's half-dead but still going; seem some use it as an example of what would happen to DS had Dark left Skylanders out. Technically it' IS a spyro reboot so it suppose to be targeted to us the forgotten one of the ps1 and ps2 era,the classic and legends crowd,now they will never know how it was before. It's supposed to target fans of Skylanders from the get go. Even if Acti did a classic series cartoon,they'd appeal to a younger crowd,because "obviously" those old fans don't watch kids' shows. so we no longer exist for them it's really sad and it false they never heard of periphery demographic because cartoons is not just for kids get out of that guetto! Oldschool Spyro fandom turned their backs on Skylanders, Acti just returned the favor. Periphery Demographics make themselves,though, every time someone tries to pander to them we get a really immature show. And it's Blizzard Entertainment's first cartoon too,they'll play super safe because it might be their only shot if it bombs. Justin Long is a pretty big name nowadays. Not to mention, but he's pretty friggin cool too. The recent unaltered voicework Justin has done was Alpha and Omega and Walking with Dinosaurs. And he sounded like an older Skylanders Spyro. There was no topic on this when I posted my topic on this show. Don't mind Pwnage, Operation, he's irritated that his duplicate topic on the Skylanders show over in the Skylanders section was removed by mods. I wonder when it is going to be released? Q2 next year,so anywhere after March I think? I seriously can't remember if there are four Qs for timeframes or just two. Yeah, there are four. Q2 is April, May and June. I expect near June, since it's school vacation. "Quarter" means 1/4th, so they always come in fours. Well, it might be spoilers/YMMV on the show in question, but Josh Haber - the chosen writer for Skylanders Academy - wrote his first episode for MLP Season 5. It's.... It's crap, and somehow someone thought it was a great idea to have him in a season finale. I will try not to spoil The Cutie Re-Mark,but without context of the show,you really can't tell how bad it is anyway. Fanservice over characters, main problem. You know those comics and games that throw plot out of the window to make sure certain universes collide to fight or weird AUs to happen? Yes,those are usually non-canon. This isn't. The characters have their intelligence halved to make sure they just sit and watch or do weird assumptions or just refuse to do the obvious right option because the crazy things need to keep happening. The result is a huge mess full of plot holes and a villain that you can care less about because OH NO THEY HAVE A FREUDIAN EXCUSE NOW YOU NEED TO CARE VERY MUCH summed up in about 2 minutes. He also does the Equestria Girls movies,which I mentioned in the SC thread I don't like very much, but if that's how he does normal show episodes... I'm pretty scared. I think we need not worry. The show runner is from Futurama, one of the highest praised cartoons of all time. I'm personally not worried currently. We should wait and see for more info. I'm not worried by now. Nothing was shown until now. But I'm thinking how the graphical quality will be.